The rivalry renews as the Red Sox headed to New York for the first time in the season. Destinations fans knew the boys needed some support in this key AL East match up and were eager to sign up for the bus trip to NYC! 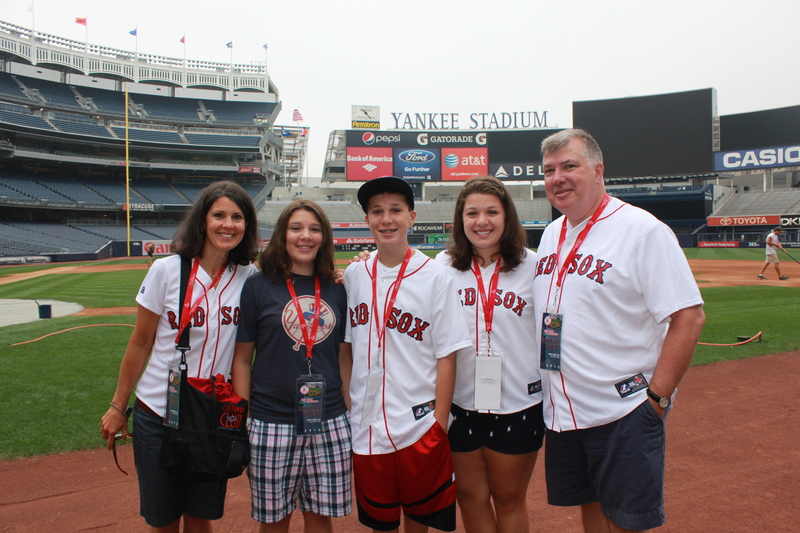 The trip included a free VIP Tour and breakfast at Fenway before heading out on a chartered bus down to the Bronx. 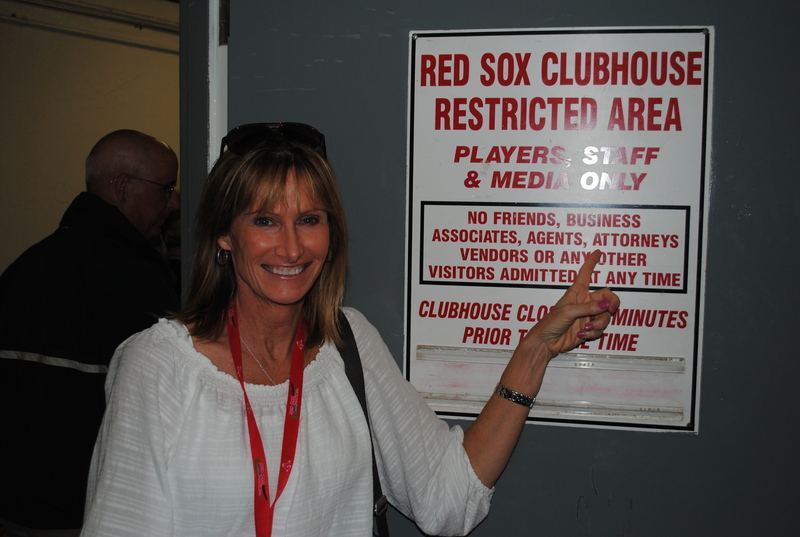 The group got unparalleled access to Fenway with time in the dugout, press box and even the Red Sox Clubhouse! Also included were gift bags for each person and subway passes for the entire weekend. 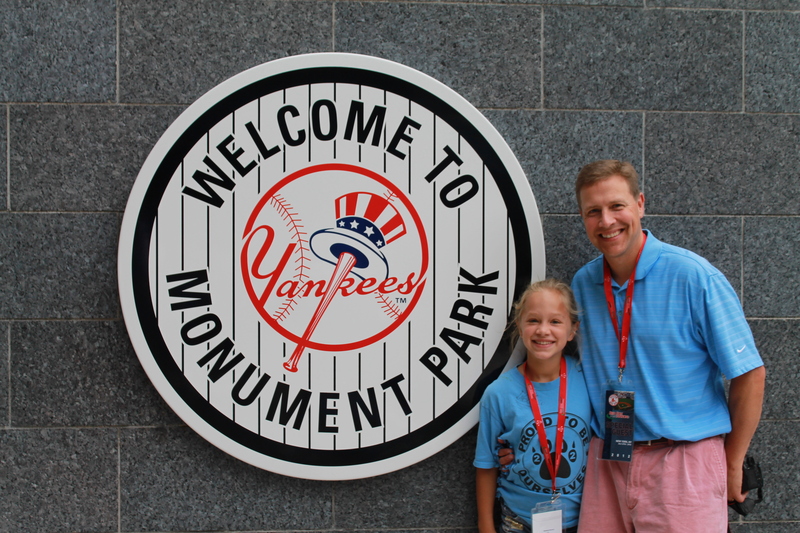 The bus dropped off right at Yankee Stadium for the Friday night game. With Ichiro’s first game as a Yankee, there was certainly some buzz around the series. Unlucky for us, the buzz carried over to an exceptional Phil Hughes 7-inning performance and a Curtis Granderson grand slam in the 8th, leading to a 10-3 Sox loss. 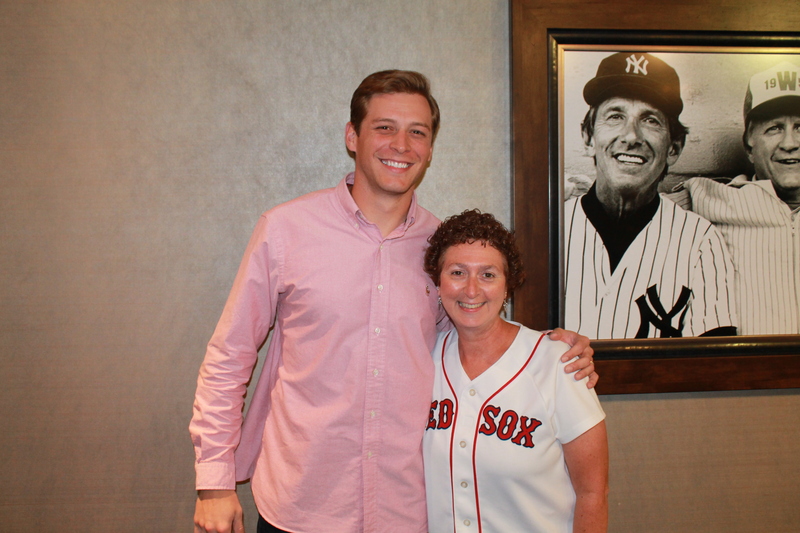 Friday was just a memory as Saturday got started with a VIP Tour of Yankee Stadium that lead in to a private luncheon with Ryan Sweeney! 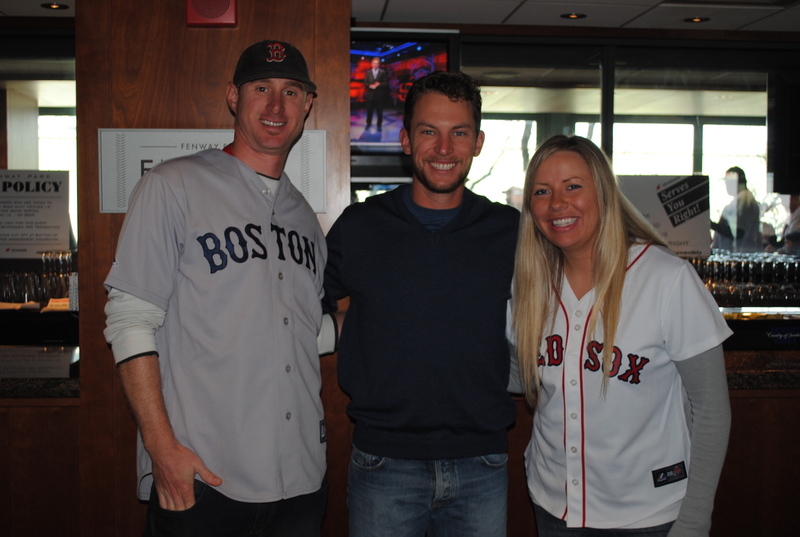 Ryan signed autographs, took photos and answered questions from the loyal Sox fans. There was no way rain was stopping Saturday’s game. After a slight delay, the afternoon (turned night) game saw Jon Lester get his 1,000th strikeout and Pedro Ciriaco slam a go-ahead triple in the 9th. The Red Sox came away with the 8-6 win, a big boost to the team morale. Destinations fans headed back to Fenway on Sunday afternoon, but a few fans stayed to watch that evening’s game as the new “Yankee Nemesis” Pedro walked off in the 10th! 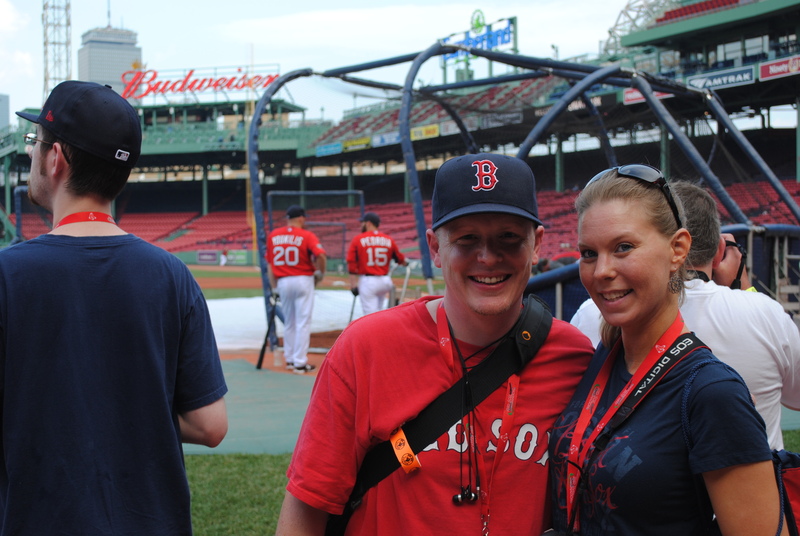 See below for the Red Sox Tweet about our trip and more pictures from the Rivalry Roadtrip! 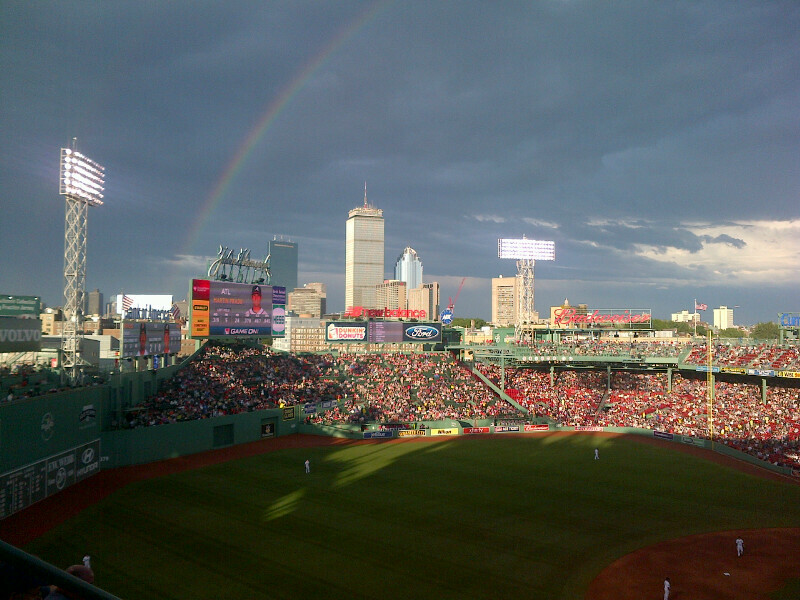 The summer heat was bearing down on Fenway in early July as the rival Yankees came to town. 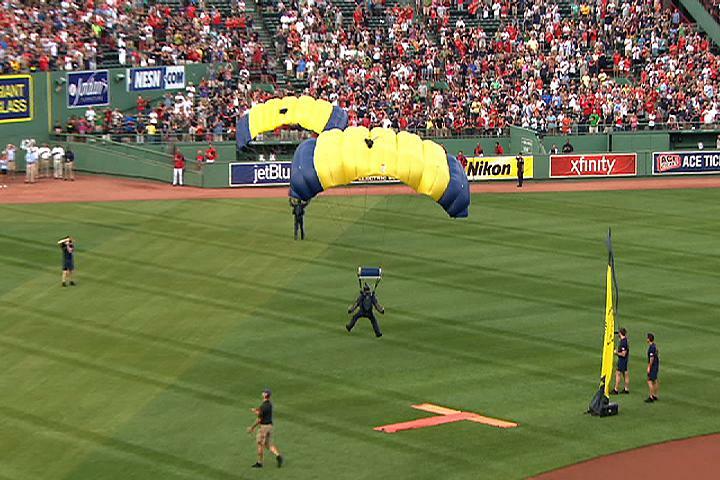 On Friday, fans gazed skyward as the US Navy’s Leap Frogs parachuted onto the field. 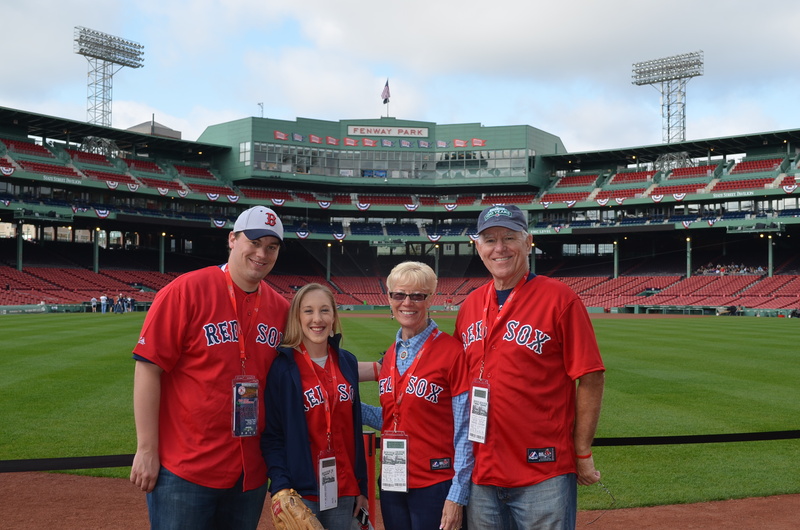 Saturday, Destinations fans awoke early to enjoy the VIP experience, Green Monster access and a breakfast buffet. Red Sox reliever Scott Atchison was kind enough to hang out with our fans and sign autographs, take photos and answer some questions. 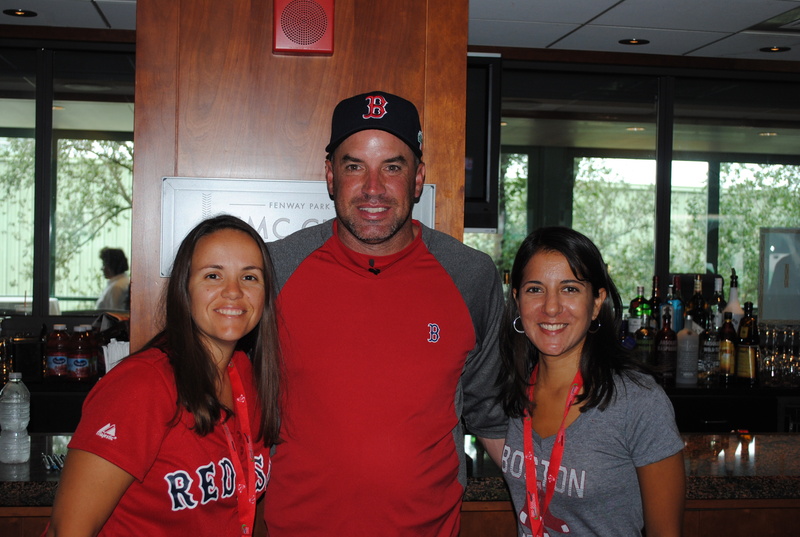 THANK YOU to Scott Atchison and Red Sox Nation’s finest for making our events a success! 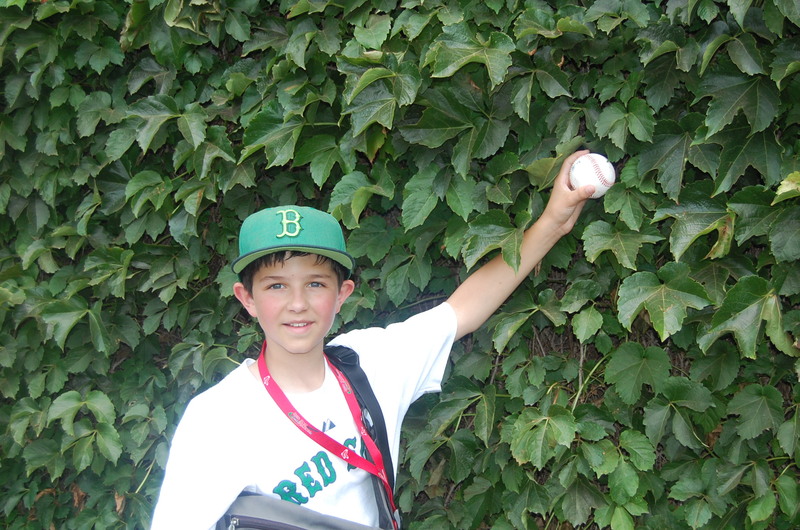 The double header resulted in a long day of baseball, and an even longer one for Red Sox starting pitching. Beckett gave up 8 hits in 5 innings of work on Friday and Franklin Morales lasted only 3 ½ in the Saturday matinee game. We are finding it a difficult task to pitch to the Bombers who at the time had an MLB best record of 51-31 and best run total of 130. The bright spot for the Old Town Team came shortly before the “Pedro…Pedro” chants were heard in the 7th inning of the Saturday night game. It’s not the 2004 version, but Pedro Ciriaco, fresh from Pawtucket who had the best game of his short MLB career going 4-5 with 5 RBIs and some stellar work at short stop. The Red Sox have some catching up to do and will hopefully cut some distance this weekend as we travel to Yankee Stadium for a 3 game set on the Rivalry Road Trip! 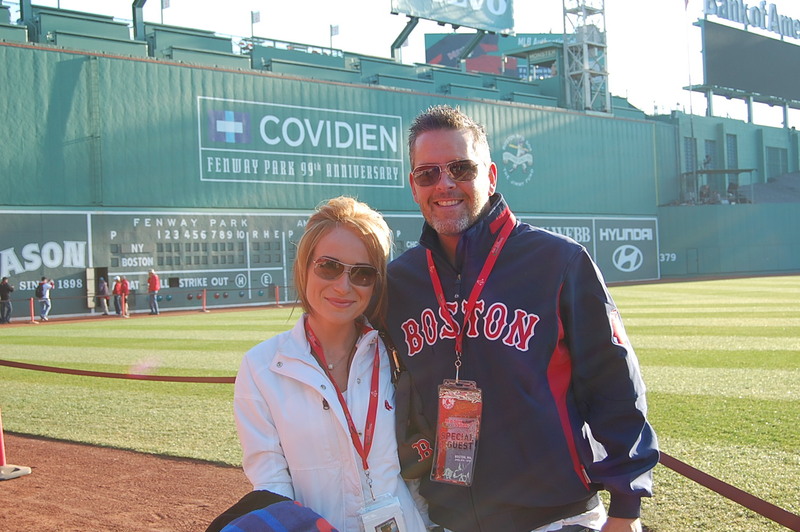 Take a look below at some photos from an awesome rivalry weekend at Fenway! 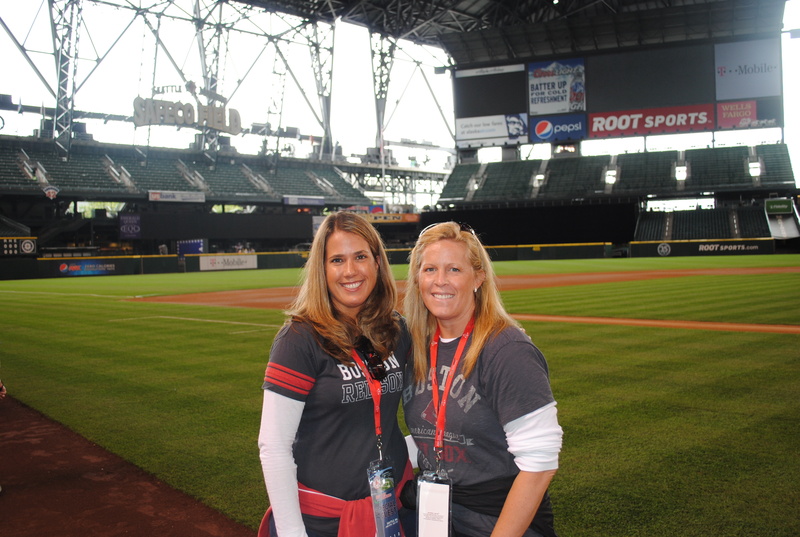 Some people mention Seattle and think of the rain, Pike Place Market and Starbucks coffee, but we think of beautiful SafeCo Field and the fearful pitching of the Seattle Mariners. Red Sox Destinations fans got to experience some great baseball in Seattle, with 2 out of 4 games going into extra innings. Ok, so we split the series, but it was some exciting baseball nonetheless. King Felix proved too much for the Sox lineup on Thursday and fanned 13 in the Mariners 1-0 victory. Red Sox fans witnessed Aaron Cook throw an 81-pitch complete game 2-hitter on Friday! The Sox dropped the ball (literally) on Saturday with a play at the plate where Salty couldn’t hang on to the ball in the eleventh. 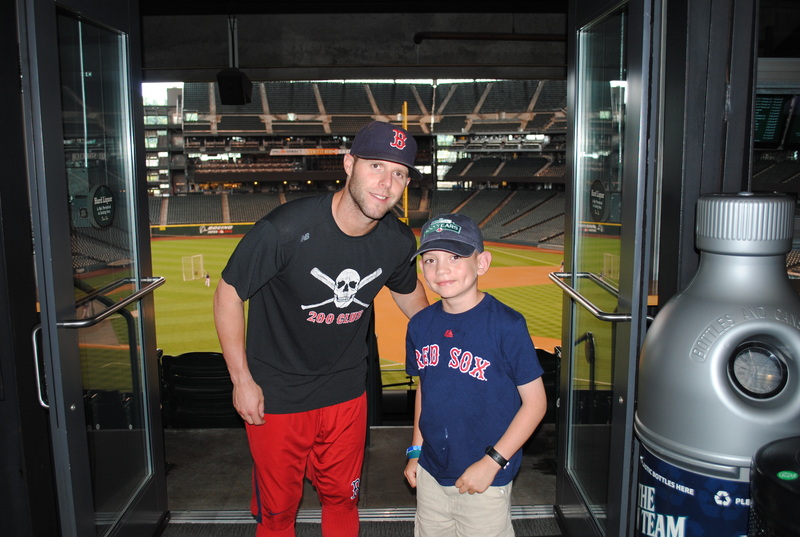 And then in Sunday’s win, Pedey homered for the tying run and we’re (fairly) sure it was the motivation he got from meeting those dedicated Red Sox fans on the road! 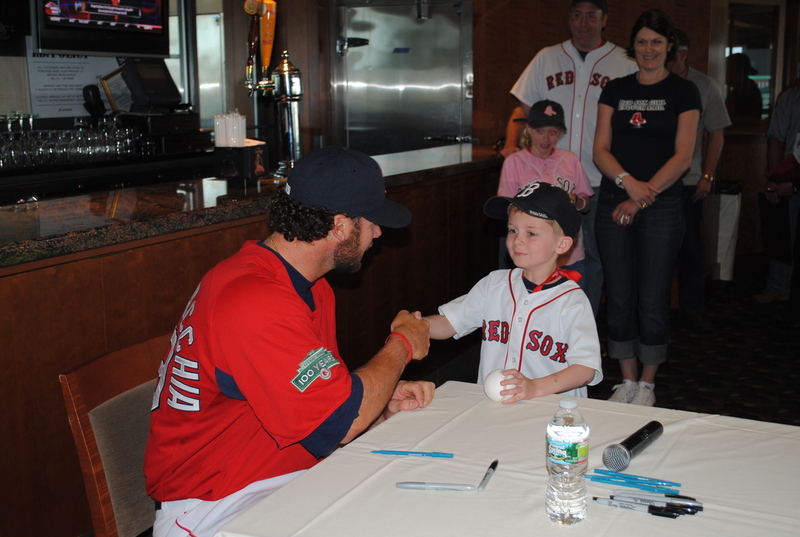 Dustin signed autographs, took photos and answered some questions from some of Red Sox Nation’s best. 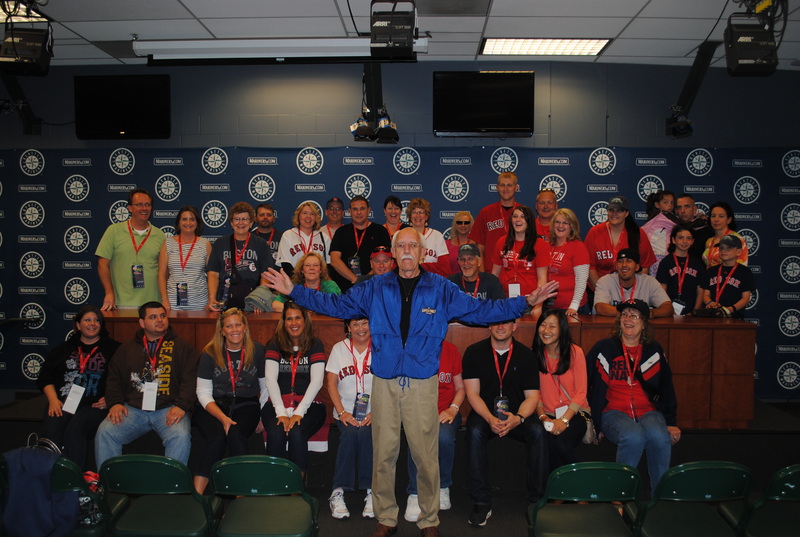 In addition to the luncheon, fans enjoyed a VIP tour of SafeCo field, exclusive game tickets behind the Red Sox dugout for 2 games and accommodations at the Seattle Courtyard/Pioneer Square, right in the heart of the Emerald City. 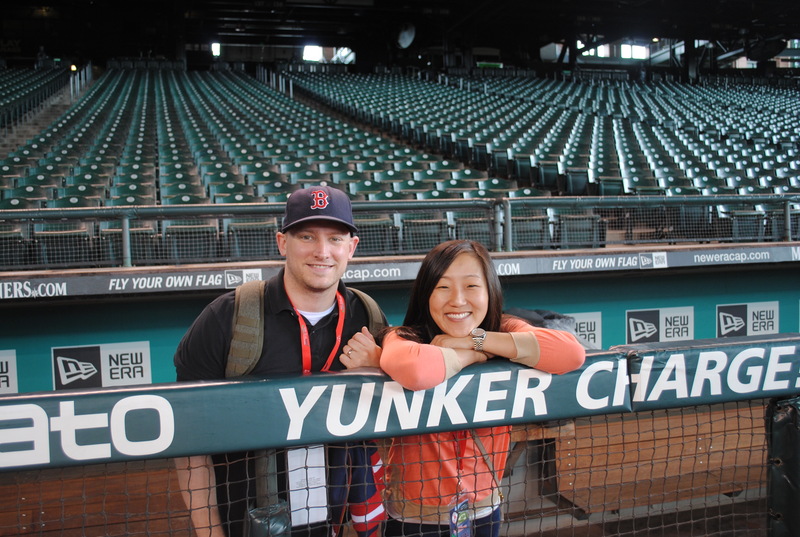 Check out some photos below from a great weekend of baseball in the Pacific Northwest! In a rematch of the 1918 World Series and the least played matchup in the history of baseball, the Red Sox headed to the corner of Clark and Addison for a few interleague games. 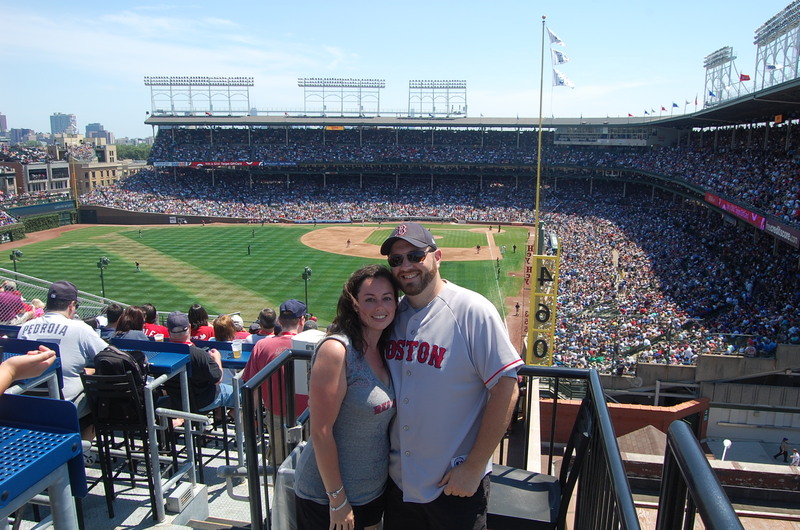 That address, none other than the “Friendly Confines” of Wrigley Field; the scene, over 270 Red Sox Destinations fans pour into Chicago for the highly anticipated matchup of the Red Sox and Cubs. Arguably the most unique and definitely the largest trip to date, fans had 2 options to choose from. 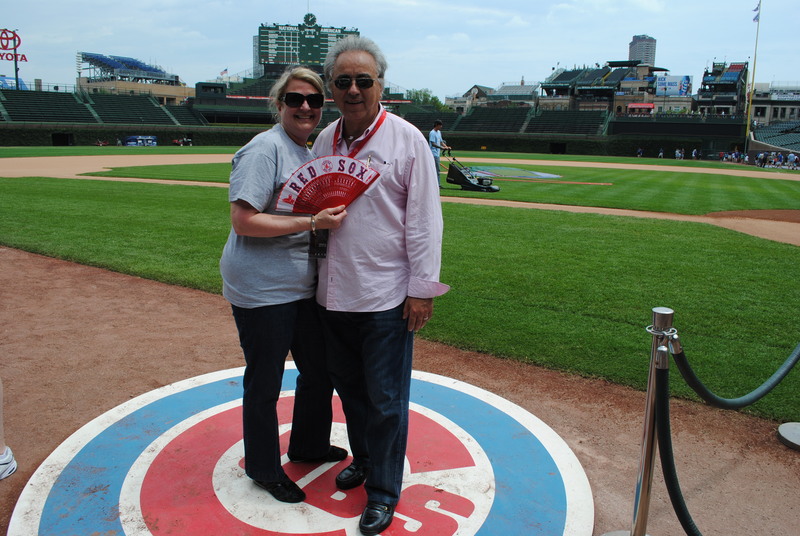 Option A included a VIP tour of Wrigley, a luncheon with a current player (Salty came by and provided some great commentary), gift bags per person and a great time on a roof top for Friday’s day game! Beyond the Ivy provided an amazing view and great amenities at their locations just beyond the left field bleachers. Our Option B folks enjoyed a great tour of the park, tickets to Friday’s game, gift bags and roof top access for Saturday’s rare night game. 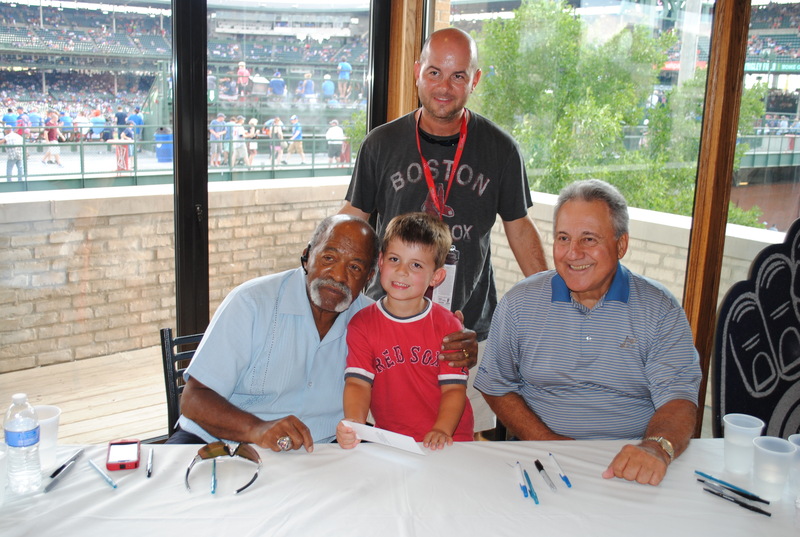 They were joined by none other than Rico Petrocelli and Luis Tiant! 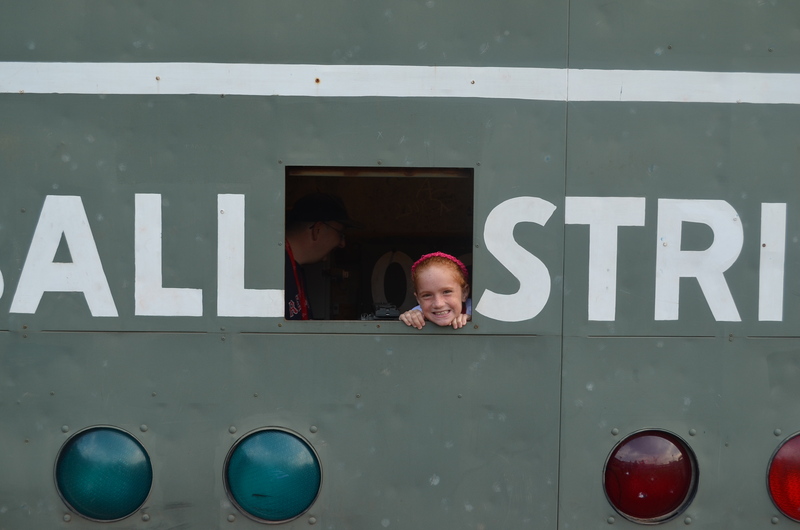 Our Red Sox Legends arrived a few hours before game time and signed autographs for everyone up there. From touching the famous ivy, to the great roof top views, to meeting Salty or Rico and Luis, Destinations fans were treated to an unforgettable experience. Not to mention, accommodations at the Marriott Downtown Magnificent Mile were perfect for seeing everything the White City has to offer. Next up, the Braves come to town. 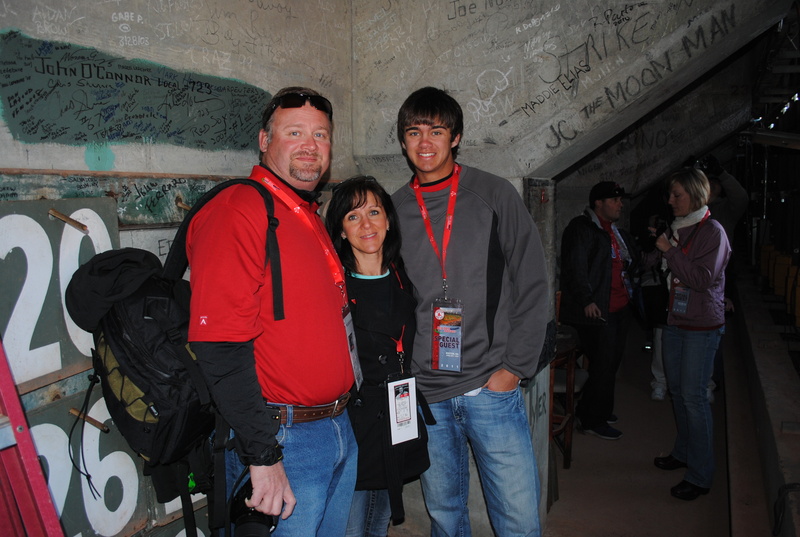 Until then, check out some pictures from the Windy City below. 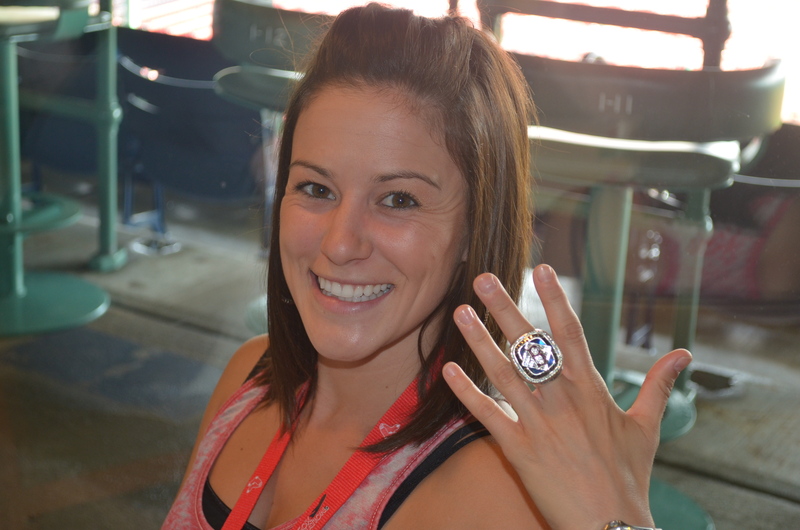 Emotions were high and the nostalgia was prevalent during the pre-game ceremonies on April 20th, 2012. Like a scene from Field of Dreams (without the corn stalks and Costner), over 200 Red Sox Legends walked out of the center field wall one at a time. 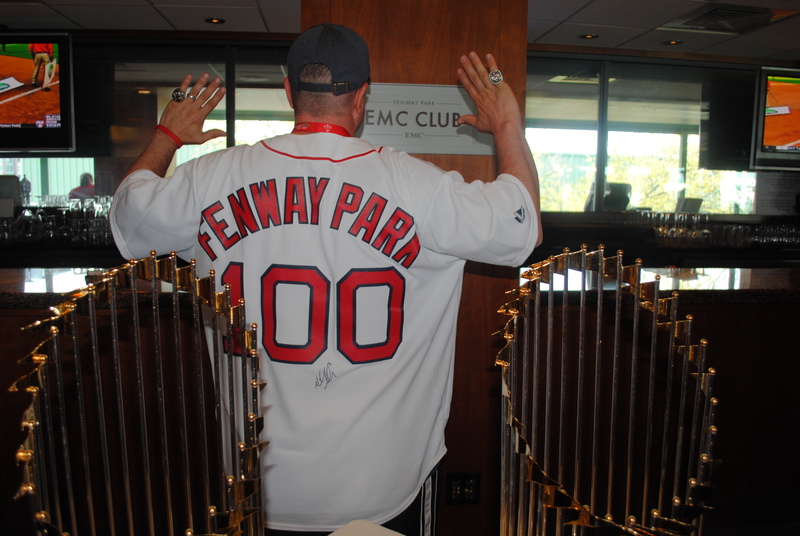 Names like Martinez, Pesky, Fisk and Garciaparra appeared to seemingly endless cheers from the crowd. The ceremony concluded with a World Record Breaking Toast to Fenway (Welch’s juice provided) and a flyover by an F-16 and a WWII-era P-51 Mustang. 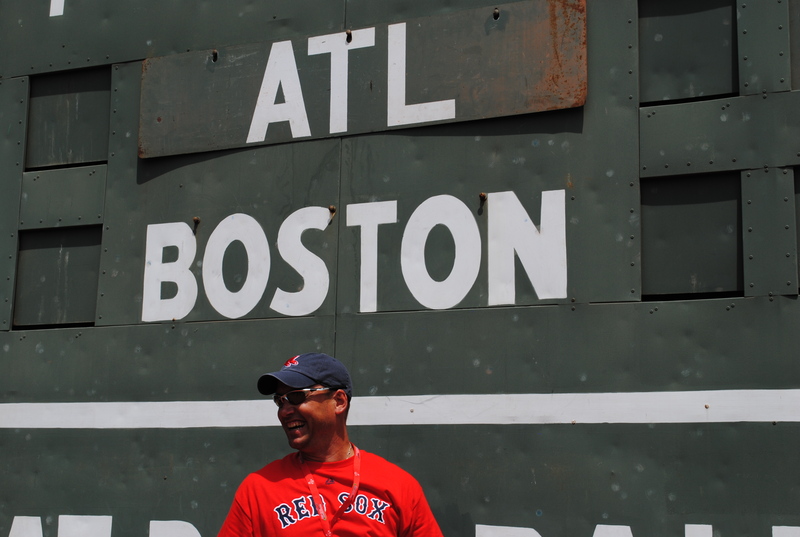 Red Sox Destinations fans came from 25 states and 4 countries for Fenway’s 100th Anniversary Weekend and had an absolute blast. 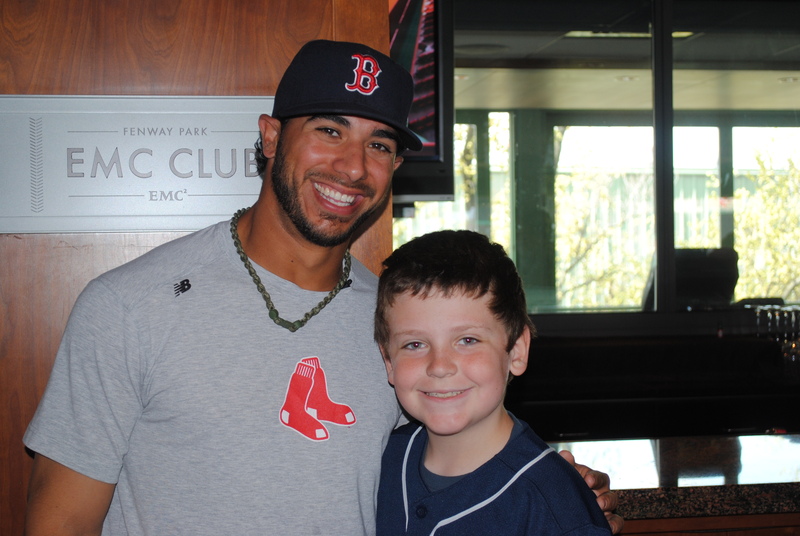 In addition to all the events in the package (great tickets, hotel, VIP Tour of Fenway and pictures with the World Series trophies and rings), we had a pre-game reception featuring starting shortstop Mike Aviles! 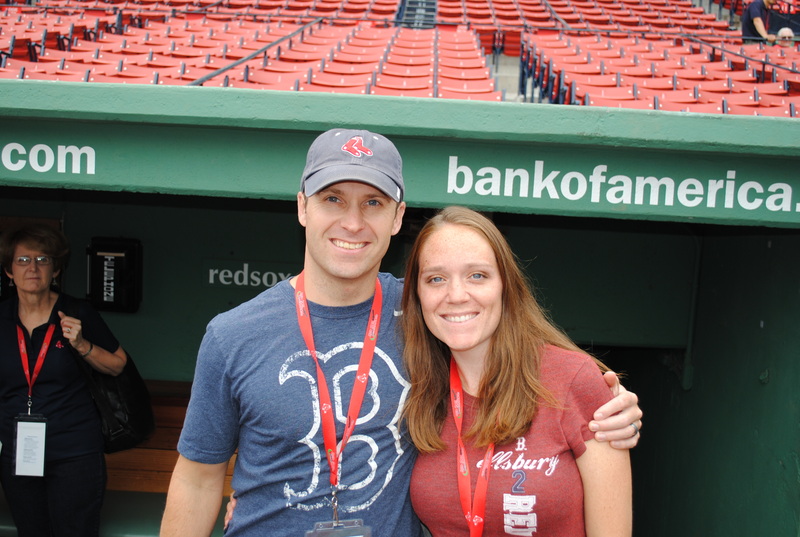 See below for Mike’s Tweet about our fans following the reception and more pictures from Fenway’s Birthday Weekend! 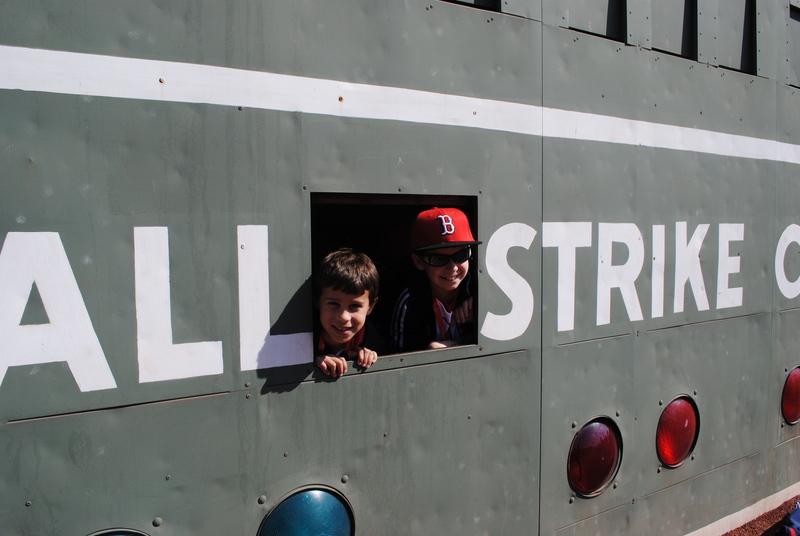 Red Sox Nation descended upon Boston for the 2012 Home Opener at Fenway Park. Yes, it was Friday the 13th and no, there were no whispers of bad luck as the Sox showed promise and gave the Fenway Faithful a 12-2 rout of the Tampa Bay Rays. 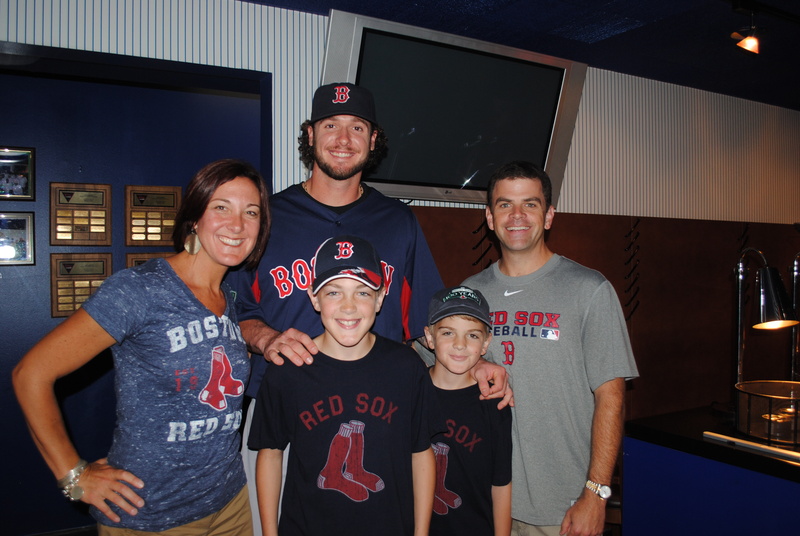 Red Sox Destinations fans were treated on Saturday to a VIP tour of Fenway, tickets to 2 games, hotel accommodations, Sox gift bags and a pre-game luncheon with Jarrod Saltalamacchia! The luncheon included a buffet, an autograph session, photo op and Q & A with Salty. His homer to center in Game 2 of the series was in their honor (well, we’d like to think so at least). 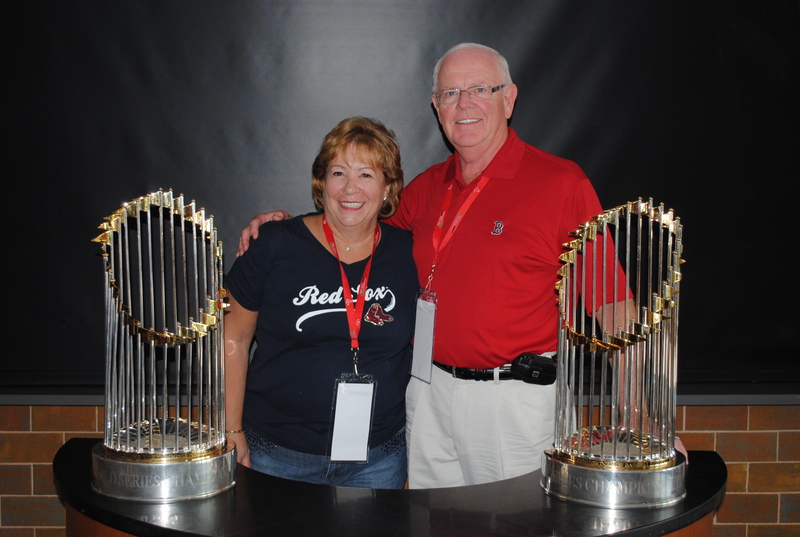 Check out some pictures below and book your Red Sox Destinations package here. Red Sox fans from around the World flocked to Fenway for a late-August series in Boston, as the Yankees made their final 2011 regular season visit to Beantown. 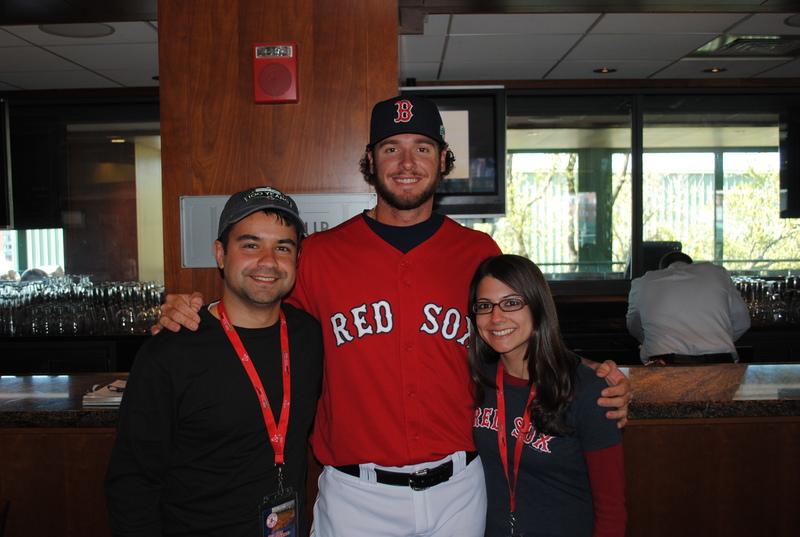 Red Sox Destinations fans enjoyed VIP access for the series; great tickets to two games, hotel accommodations in downtown Boston, gift bags, VIP Fenway Park tour, and the special opportunity to meet with Red Sox catcher, Jarrod Saltalamacchia! 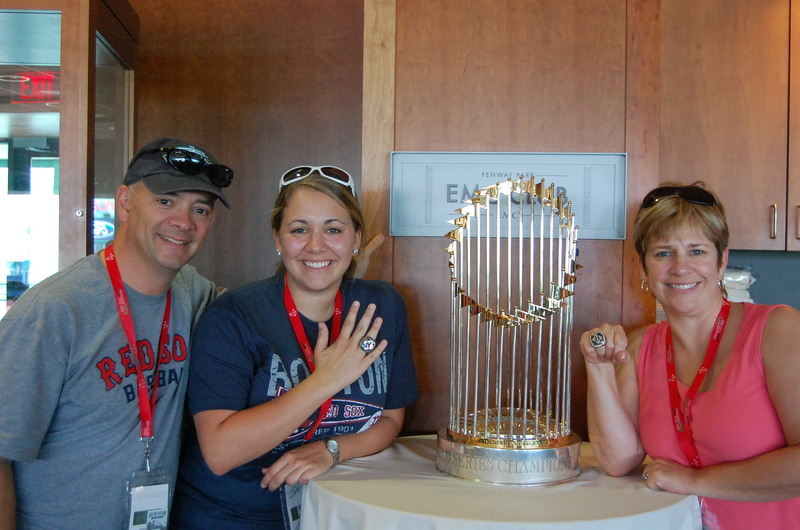 They even got a peak at the 2004 & 2007 World Series Rings and Trophies! 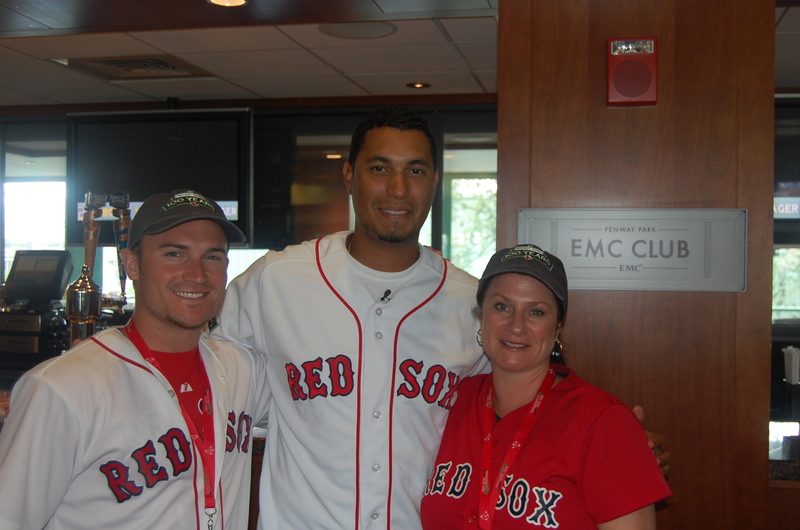 Check out a few of the pictures below to see what what you can experience on a Red Sox Desitnations trip of your own! The historical rivalry was renewed as the Yankees came to Boston for a mid-summer weekend series o battle for the spot atop the AL East. Red Sox Destinations fans were excited to see their Sox win the series 2-1. 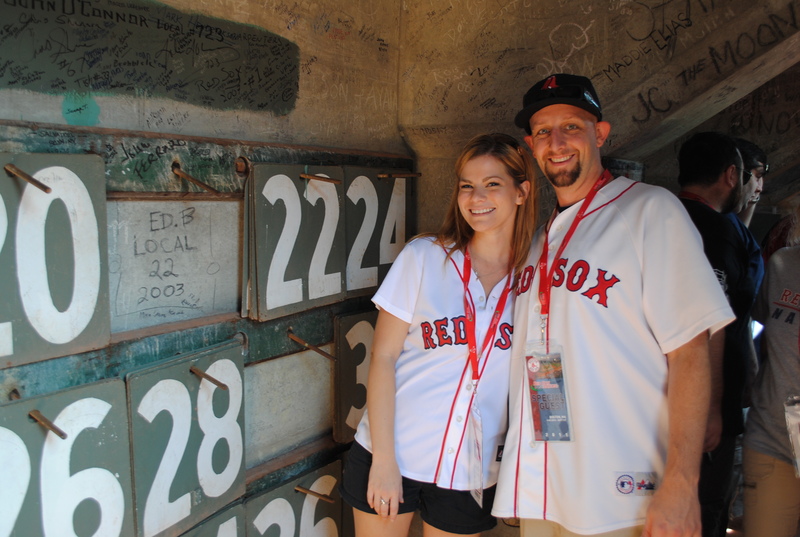 Aside from the game tickets, hotel accommodations, gift bags, the Destinations group also had the opportunity to take a VIP tour of Fenway Park which included: a chance to go inside the Green Monster, access inside the press box, and the opportunity to walk on the warning track. Following the tour, the group attended a pre-game reception where one of the Sox top young stars, Josh Reddick, visited with the group. Josh took part in a Q&A session, took photos with Destinations guests and also signed autographs! Check out the photos below to see the amazing weekend! 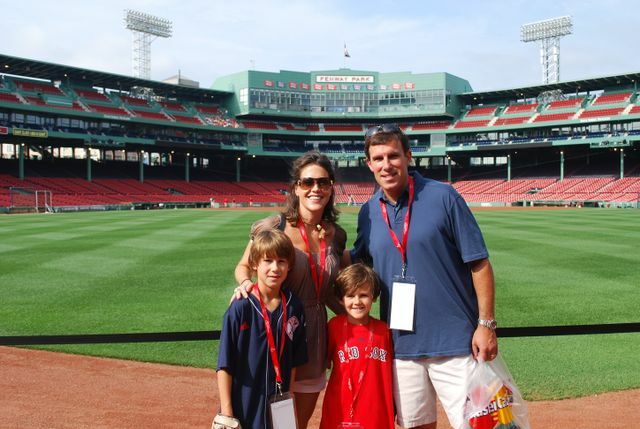 Red Sox Destinations Kicked Off the 2011 Season with a Home Opener Series against the Yankees! 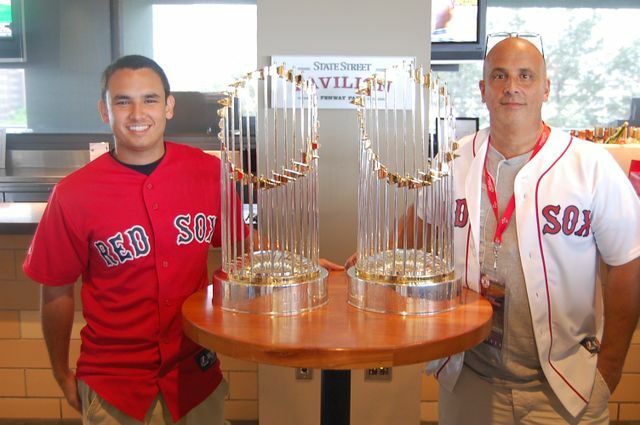 Red Sox DestiNATIONs fans were excited to participate in the 2011 Home Opener Series against the New York Yankees! 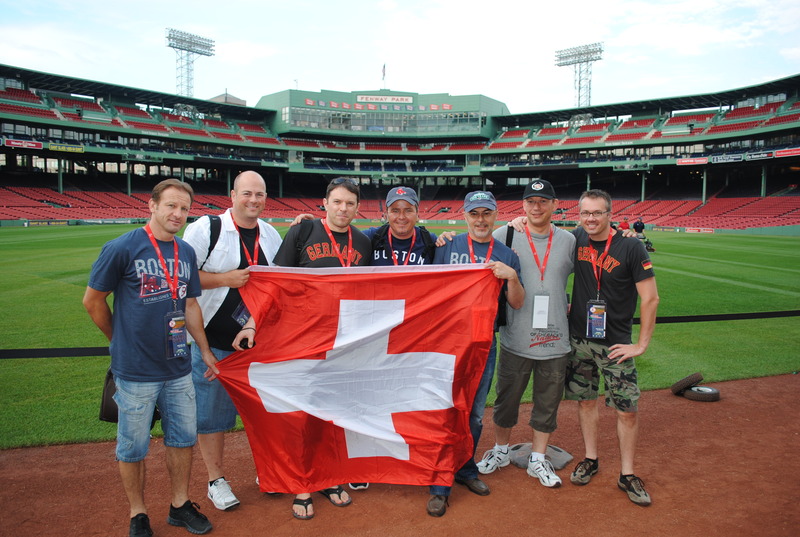 Celebrating the 99th Anniversary of Fenway Park, the group was able to witness the always highly anticipated Opening Day. Destinations fans witnessed the Sox beat the Yankees, and win the series 2-1. 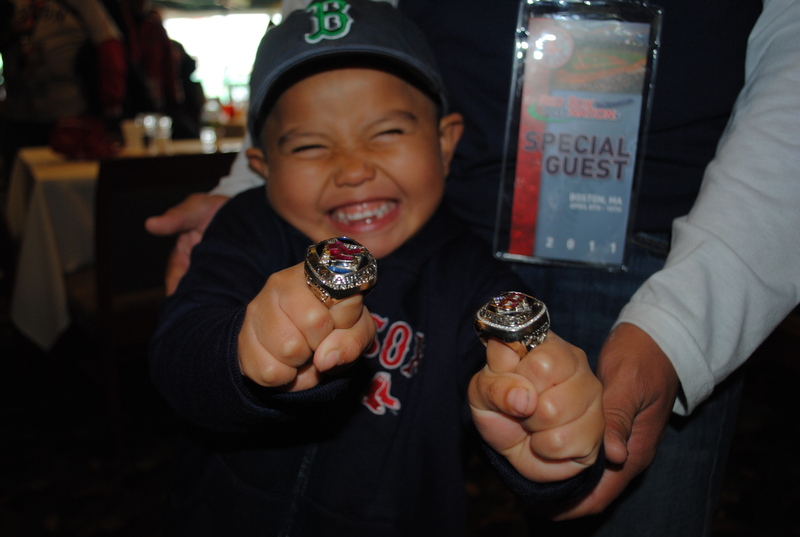 The group was especially happy to see their Sox snap th e 0-6 season start!